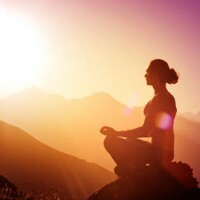 Transcendental Meditation (or TM) has been described as a way to relax, promote health, vitality and longevity, develop creativity, increase energy and IQ, a way to develop heightened mental performance and greater inner peace. Personal experience and science have both shown that in fact it does all of these things. The popular historical connection with the subject of TM could easily have begun with the Beatles. Whether we appreciated them as musicians or not, most of us heard something about them abandoning their western lifestyle in 1968 for a well-publicized trip to India to meet and study with Maharishi Mahesh Yogi. Maharishi was possibly the most well-known “guru” of his time, and the founder of the Transcendental Meditation program. The two remaining Beatles, Ringo and Paul, still continue to practice TM, and both have spoken of it at recent public events. TM has grown markedly since them. Fast forward to 2015. According to the TM organization, there are currently 10 million practitioners and some 10,000 certified instructors. All this from one lone teacher and a few thousand practitioners in 1968. The magnitude of growth can be attributed to three main areas: Ease, Scientific Research and Effects & Benefits. Ease TM is possibly the easiest system of mental development or meditation available today. It is so easy that children as young as six years old learn the technique. As long as we are breathing and thinking we can learn to meditate. This is so because TM makes use of the effortless, natural tendency of the mind to look for progressively happier and more satisfying experiences, which are accessible at deeper levels of thinking, awareness and consciousness. In the past some have disparaged this natural, mental tendency of the mind. By comparing the human mind to that of a monkey, some teachers of meditation have endeavored to convince us that the mind lacks control, similar to that of the monkey, who is often seen jumping about from one branch to another, never able to settle down. It has been taught that the human mind, like the monkey’s, has to be controlled, focused, and disciplined during the time of meditation. With the teaching of TM, Maharishi has revolutionized this traditional understanding of the nature of the mind. He showed us that by effortlessly experiencing subtler states of thought during the TM practice, the mind is then able to find the goal of its searching in the progressively deeper and more satisfying levels of the thought process. What once was difficult to do is now easy. And what took years to produce measurable effects now takes only a few days to a few weeks to produce many practical, useful, measurable benefits for the meditator. Extensive benefits have been proven to exist by many scientific research studies. To date, there have been over 600 separate scientific research studies done on TM in universities and research institutions worldwide. Approximately 160 of these are published in scientific journals, and more than 350 of the studies are “peer reviewed,” which means that they have been scrutinized and critically judged by qualified reviewers in order to ensure that the studies were of the highest scientific quality before publication. The high volume of quality research is beneficial to prospective TM practitioners, since they can be assured of the effectiveness of the technique, even before they embark on learning the practice. Research on TM has brought to light an ever expanding group of effects and benefits. TM has been documented in the laboratory in four major areas, including: the mind (mental potential), the body (physical health), relationships (social behavior), and even in the area of world peace. The measured, documented effects are so extensive, that we will have to save the discussion of these areas until future issues of Goodlife Connoisseur. Until then! Further information, please access the web: for Canada (www.ca.tm.org), for the USA (www.tm.org).